They don’t call it rainy season for nothin’! But hey, just cause it’s raining outside doesn’t mean you should miss out on what’s going on out there! We are waterproof after all…. Last Saturday night was as rainy as they come but my love and I ventured out into the H2O to check out the production of “2 Can Play” written by Jamaican playwright Trevor Rhone, directed by Henry Muttoo and presented by the CNCF (Cayman National Cultural Foundation). I’m no stranger to the CNCF so I wasn’t surprised to see Michael McLaughlin and Marcia Muttoo on stage but I certainly was surprised to hear strong Jamaican accents coming forth from their lips! McLaughlin and Muttoo effortlessly transported us to a war torn section of 1970’s Kingston to tell the story of Jim and Gloria, virtual prisoners in their own modestly middleclass home. Their children are illegal immigrants in America and as gunshots rain each night, Jim decides they too must forge a path to the American dream. As their plan develops and ultimately unfolds we see the questions posed by the playwright concerning marriage, love, duty, sacrifice, fantasy, reality, risk and self-indulgence. The complexity of their lives, their relationship and the decisions they’ve made and will make, weave into a time-lapse portrait of a marriage in collapse. I found the play deceptive in its humour, making me laugh at a man’s struggle to sleep during raging gunshot fire – a scary situation to be sure. While the mixing of gender roles, with a strong-willed woman and a strong-mouthed man communicating for the first time now in the empty nest stage of their lives, an undoubtedly universal and complex reality. McLaughlin and Muttoo both do a beautifully convincing job of making us think they are Jamaican – possibly a little more on the posh side than ghetto – but still there’s no doubt McLaughlin’s Jamaican roots provide him with an upper hand. Both actors do well also in making those of us who know them well surrender to their embodiments of Jim and Gloria as they play out their shifting narrative roles of protector and protected, selfish and selfless, talker and walker. As the drama unfolded I was constantly wondering about this couple and what, if anything, their marriage was worth and to my surprise the play itself demanded the question also in its surprising and dramatic conclusion. Even the set design is a subtle reminder of the forces at work both on stage and within the story. The missing walls lined with barred doorways do their job brilliantly of suggesting a larger house but one that is still in effect, a prison. I won’t lie. This is a Jamaican play. The dialect and accent may be difficult to decipher by non-Caribbean people or untrained ears. That said, I think anyone interested in the arts should challenge themselves to exploring the rich and diverse history of Caribbean theatre, an art form that was (and arguably still is) one of the strongest forms of socio-political expression of an oppressed people. We are lucky to have it on offer here in Cayman as the CNCF is pretty much the only purveyor of both Caymanian and Caribbean arts. Mr. Henry Mutto himself has been writing, performing, set designing and directing Caribbean theatre for most of his adult life, if not longer, and is, in my opinion, an untapped resource in terms of the depth of knowledge and experience he is willing to share with an eager audience. What was once likely presented as a commentary on social class, relationships and gender equality is as relevant today as it was 30 years ago. And isn’t that what art and literature are for? Presenting the timeless struggles of ageless characters to modern audiences? Set in an urban Caribbean context, these struggles become even more relevant to our daily lives even here in Cayman. 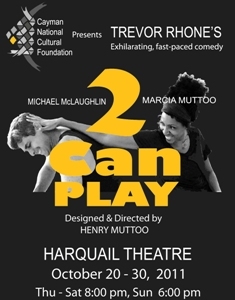 And if all that is too heavy for you, what else have you got to do on a rainy night but check out the final run of “2 Can Play” this weekend at the Harquail? Thurs – Sat 8pm, Sun 6pm. Tickets available at all Foster’s, Funky Tangs and Harquail Theatre or call 949-5477. PS. Get on the CNCF mailing list and keep abreast of their many unique and engaging Caribbean productions. Or better yet, get on their volunteer list. Gimistory is coming up at the end of November and it’s one of the most magical and entertaining family events of the year! 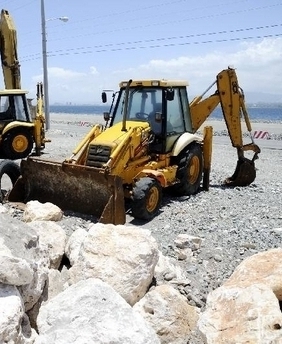 (CNS): According to a report in Thursday's edition of the Jamaica Gleaner sub-contractors working for China Harbour Engineering Company on the multibillion-dollar Palisadoes Shoreline project are having problems getting paid. The original primary contractor YP Seaton recently complain he could not pay his subs as he was not being paid by CHEC, and was sacked by the Chinese firm, which is currently in talks with the Cayman Islands government to build the cruise berthing facilities in George Town. Sub-contractors in Jamaica who are now working directly with China Harbour are echoing the complaints originally made by Seaton as they too say they are not being paid properly. The Gleaner reports that after terminating the contract with Seaton, China Harbour had entered into a contractual arrangement with truckers and local suppliers. But subcontractors claim the rates being paid are not viable and they are now being forced to withdraw their services. "We want a meeting to renegotiate the contract," a subcontractor told the newspaper who asked that his name be withheld for fear of being "sabotaged by the political process". Another subcontractor told The Gleaner that an increasing number of the subcontractors were laying down their tools because they were unable to finance their obligations. "I have to be paying my workers as they have children to go to school," he told The Gleaner. The subs want Transport and Works Minister Mike Henry to intervene but he said that he had received no report of any problems associated with the work being carried out on the Palisadoes Shoreline. "Subcontractors know the process by which they are being paid … they should have a contractual arrangement in place," Henry said. "And payments are supposed to be made after the work and quality of material supplied is certified." (CNS): Critics say that if you’re going to see any Jamaican play in your lifetime, make sure one of them is Trevor Rhone’s “2 Can Play” and the Cayman National Cultural Foundation is making it easy for locals to do just that this coming weekend. The play, directed by Henry Muttoo and starring Michael McLaughlin and Marcia Muttoo, tells the story of Jim and Gloria, who are virtual prisoners in their own home in a war torn section of 1970’s Kingston. In a review of the play, filmmaker and occasional actress, Judy Singh, says the commentary on social class, relationships and gender equality is as relevant today as it was 30 years ago and recommends it as an ideal way to pass a rainy evening. The play continues its run this weekend at the Harquail Theatre from Thurs ‐ Sat at 8pm and on Sunday at 6pm. Tickets available at all Foster’s, Funky Tangs and Harquail Theatre or call 949‐5477. (CNS): After six years of serving as the director of boards and work permits at the immigration department Sherryl Miller, the first person to hold the post has decided to retire from the civil service. Since taking the job she has helped develop the standing orders and procedures for the boards now in use, compiled a reference document containing the various policies of the boards as well as updated the application forms for work permits, making them easier to follow. Miller also introduced the English language test which will by the year end allow prospective workers to take the tests in their own countries and redesigned much of the immigration paper work to make it clearer and more accessible, officials said. “I believe it is important for the various policies of the boards to be published,” she said. “This will eliminate much confusion and frustration for our customers, and even within the department,” Miller added. While coordinating the work of the immigration Boards and their dozens of appointed members has been demanding, Miller said she has enjoyed great relationships with board members, and will miss the camaraderie. Although a long way from retirement age Miller said she never intended to stay in the director’s chair for so long. “I hope to see another capable Caymanian appointed who will bring to the position fresh ideas and new energy,” she added. Miller says it’s important that young people being given opportunities within the workforce. 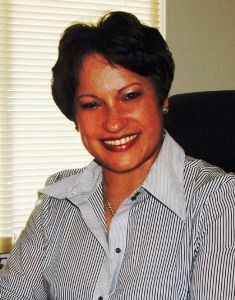 She began her civil service career as a teenager in 1976, when she became Radio Cayman’s first female announcer. Now she looks forward to spending quality time with her family, fulfilling her urge to travel more and pursue other interests. Chief Immigration Officer Linda Evan said the department was grateful to miller and it would be a very difficult role to fill. “It is of utmost importance that we find someone with the integrity and professionalism she has displayed,” Evans said as the department begins the process of recruiting a new director. Portfolio of Internal and External Affairs Chief Officer Franz Manderson applauded Miller’s “dedication and commitment to the government and people of the Cayman Islands,” sating that she was a key member of his senior team when he was Chief Immigration Officer. “Together we completed a number of projects, such as the Work Permit Administration System. While I am sorry to see her leave the service, I wish her good health and a happy retirement." (Reuters): Nine tax jurisdictions have not made sufficient headway on sharing tax information with foreign authorities, officials at an international tax forum in Paris, Wednesday said. Since Group of 20 countries agreed at a 2009 summit in London to crack down on tax havens, some 700 agreements to share tax information with foreign authorities have been signed by countries and territories that previously refused to do so.However, Antigua and Barbuda, Botswana, Barbados, Brunei, Panama, Seychelles, Trinidad and Tobago, Uruguay and Vanuatu were still found wanting in their progress to open up their tax systems to foreign authorities. Brunei, Uruguay and Vanuatu were the most recent to be added to the list in the latest round of peer reviews by countries and territories belonging to the Global Forum on Transparency and Exchange of information for Tax Purposes, which has 105 members. Officials said the lack of progress was not necessarily a sign of reluctance towards sharing tax information, but was in many cases due to technical and legislative obstacles. "All of us … have areas in which we can improve and the whole idea of the process is to encourage the adoption of international standards," the forum's chairman, Mike Rawstron, told a news conference. James O’Neill, the president of the Chamber of Commerce, which has voiced its collective opposition, will also be joining the four high profile guests for a Round Table Discussion on the topic, which will be open to the public. The controversial but crucial subject of immigration has always stirred up passions and the organisers’ panel choice is likely to create lively verbal sparks on the night. The full gambit on the views about immigration are reflected among the five panelists, which should make for a heated and lively evening. The panellists will be taking questions from the audience at the venue but the discussion which will also be aired live on Radio Cayman and listeners are invited to forward questions before the night of the event. Generation Now is developing a reputation for creating discussion forums tackling thorny subjects. So far they have taken on the issue of direct taxation and the legalisation of gambling, and both events created heated debate on the topics. Once again, the group has picked a subject bound to strike a chord at the heart of Caymanian people. The forum will be moderated by Rooster’s talk show host, Austin Harris, and will take place at the Harquail Theatre on Thursday, 3 November from 7:00pm to 9:30pm. For those who will be listening on radio questions can be sent before the event via email to msarcher@candw.ky. Generation NOW was formed to promote and enhance youth development in the Cayman Islands through academic, technical and vocational training. The organization aims to assist young people to become productive members of society, while enabling them to openly embrace the challenges of today and tomorrow. The now in Generation NOW is an acronym. It means No Opportunity Wasted. The directors include Marco Archer, Eziethamae Bodden, Andre Ebanks, Donald Spence, Olivaire Watler, Stanford Williams and the patron is Naul Bodden. (CNS): Although all electrical equipment used and installed in buildings in the Cayman Islands are required to be certified as free from electrical hazard under the planning laws, officials say that non-listed and non labelled equipment is a growing concern. The Department of Planning warned that non-certified equipment poses a serious life-safety hazard to people both in the workplace or home through shock or fire which may result in serious injury or death. Owners are being advised to check goods have been properly tested before buying them to avoid spending money on goods that won't past local muster. Officials said that when buying equipment to avoid the risk of hazard owners need to check the goods are labelled* or listed** by a nationally recognized testing laboratory (NRTL) or other testing agency recognized by the Department of Planning such as Underwriters Laboratories (UL) or Canadian Standards Association (CSA). Manufacturing equipment and uniquely designed systems may be unlisted and can delay the review and inspection process as they would then require certification through a field listing report. A complete list of qualified independent testing laboratories acceptable to the Department can be found on OSHA’s website at www.osha.gov/dts/otpca/nrtl/index.html. Not all laboratories provide verification of compliance for every type of standard, so the owbers are asked to contact the facility to clarify the needed testing. If there are additional questions or concerns regarding an electrical product, please contact the Building Control Unit of the Department of Planning at (345) 769-7526. *Labelled: Equipment or materials to which has been attached a label, symbol, or other identifying mark of an organization that is acceptable to the authority having jurisdiction and concerned with product evaluation, that maintains periodic inspection of production of labelled equipment or materials, and by whose labelling the manufacturer indicates compliance with appropriate standards or performance in a specified manner. ** Listed: Equipment, materials, or services included in a list published by an organization that is acceptable to the authority having jurisdiction and concerned with evaluation of products or services, that maintains periodic inspection of production of listed equipment or materials or periodic evaluation of services, and whose listing states that the equipment, material, or services either meets appropriate designated standards or has been tested and found suitable for a specified purpose. (CNS): A camera with pictures of Cayman’s Kittiwake has created a mystery for a Florida environment officer. As a beach enforcement specialist for St. Johns County’s environmental division, Mike Golubovich finds a lot of things washed up on the 42 miles of beach under his jurisdiction. 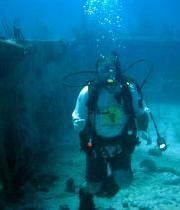 Just after a nor’easter blew through the area earlier this month he found a barnacle-encrusted underwater camera case. “You never know what you’re going to find out there,” Golubovich told the St Augustine Reocord. “Naturally, this was intriguing.” After prying the salty case open with a screwdriver, he found the camera inside. The batteries were dead, so he put in new ones and the camera fired right up, he said. He found 153 photos on the camera’s storage drive including images of reef fish, coral, divers, a mermaid statue, and a major clue as to when and where the camera was lost — photos of the wreck of the decommissioned USS Kittiwake, sunk in the Cayman Islands in January as an artificial reef. “So, that gives us a time frame as to when the camera was lost, which would have to be sometime this year,” he said adding that the visible growth on the wreck in the photos suggested not too long after the ship was sunk. Determined to find the owners, or at least get to the bottom of the story and a happy ending as Golubovich said he had considered that something bad may have happened. “I was certainly a little apprehensive looking at the photos, especially at the end. I didn’t want to see the jaws of a shark coming at the lens,” he added. In hopes of solving the mystery, Golubovich took the photos off the camera and uploaded some of them onto the Kittiwake Facebook page putting out a call to divers who may have lost the camera, or to anybody who might recognize the divers in the pictures. He has also contacted Sunset House. (CNS): The chair of the national energy policy sub-committee on renewable energy said that the most viable alternative to Cayman’s current diesel powered electricity is wind. 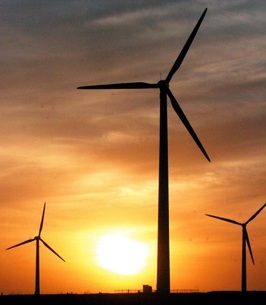 Louis Boucher said that while wind power was not without its problems, turbines were the most likely solution for a sustainable power source in the future. Boucher, who is also the deputy Managing Director of the Electricity Regulatory Authority, said that he was disappointed by the decision to use the site proposed for a wind farm in East End for the government’s Doppler Radar project, but he said there were alternative places on Grand Cayman that could be used. Boucher was one of a number of the National Energy Policy Committee members who gave a presentation about how the policy is shaping up at a special 'Be Informed' session at the Chamber of Commerce on Wednesday afternoon. He said that the shelving of the wind turbine project in favour of the radar was not good news as “wind is the most viable alternative for the island,” but he believed there were other locations and despite the problems, the committee was still looking for best solution. “We are not done yet. All we have shown you today is just the plain vanilla … but we are working on a whole banana split,” he told the Chamber audience using an ice-cream sundae analogy. The Energy Policy Committee was formed more than a year ago by government with MLA Cline Gliddenas chair. The backbench West Bay representative gave a brief presentation about the remit of the committee on Wednesday afternoon and the current energy situation in Cayman. He said the goal was to find sustainable renewable energy sources that reduce the islands’ dependence on fossil fuels and the negative impact of fluctuating world oil prices. The UDP backbencher also pointed to the need to reduce Cayman’s carbon footprint. He said the CO2 emissions per capita last year in Cayman were 10.0086 metric tonnes, higher than Germany’s at 9.5626, which is an industrial nation. Glidden warned Cayman’s emissions would continue to grow without the introduction of a renewable energy source. Following his brief presentation Glidden departed to another meeting, leaving the various subcommittee members to complete the presentation and handle the Q&A session. Discussing the remits of the various subcommittees and the broad areas on which they will base their recommendation for the future policy to Cabinet, the presenters gave away very little detail of how this future policy may eventually shape up. In February this year following comments by the minister, Juliana O’Connor-Connolly, implying an energy policy was already in place, the district administration, works, lands & agriculture ministry, which has responsibility for the energy policy, said that new national energy policy was being drafted at that time by the Cabinet appointed committee headed by Glidden. At today’s Chamber presentation, some eight months later, John Tibbetts, who heads the sub-committee on public affairs, said that the overall committee’s proposals and recommendations would not be going before Cabinet until sometime in the first quarter of next year. During the Q&A session the committee members did reveal some of the discussions they have had and the ideas they have considered. One was nuclear energy, which is currently against the law in the Cayman Islands. Although the members acknowledged there were related safety issues, the technology of nuclear power was advancing and becoming increasingly safe. The design of smaller plants and reactors would mean that in the future it could become a serious possible source of clean, cheap energy for Cayman. The issues of liquid gas was also raised because it is both cheap and clean, especially compared to oil, though there would be difficulties regarding the investment required to store the gas and to build the infrastructure to turn it into electricity, more than likely via CUC. James Tibbetts, who heads up the sub-committee on fuel, confirmed that the committee had examined the idea of an oil refinery. He also told CNS after the presentation that the committee would not be recommending that proposal to government because in order to have the type of facility Cayman would need to refine the products it uses, it would be for too costly a proposition. The committee members also spoke about other efficiencies and the need to reduce energy use by making buildings, the community and the way we live life more energy efficient. More mixed used development — places where people both live and work cutting down transport use and cost, introducing a public transport plan, the regulation of efficiency and insulation in buildings as well as demanding the use of more efficient air conditioning equipment were also noted by the committee members. The missing new traffic law was also brought up during the Q& A session which government has said will finally facilitate the use of electric cars on Cayman’s roads, as they are currently illegal. It was pointed out that the law, which has been promised now for more than two years, continues to be lost “somewhere in the Glasshouse”. Despite constant reassurance from the ministry over the last twelve months that it would be coming to the Legislative Assembly “next month” the law is still nowhere to be seen. Echoing comments by other government officials for the year, Brian Tomlinson, the director of the NRA said he had recently met with the minster and that the bill was expected to be presented to the legislators “soon” but he did not say how soon.